How To Clean And Maintain An Electric Shaver - Which? With regular cleaning and maintenance an electric shaver can keep your face smooth for years. This guide explains how to keep yours at its best. When was the last time you cleaned your electric shaver? If you find it isn't working as well as it once was, a deep-clean could be all that's standing between you and another round of close shaves. Get into the routine of cleaning and maintaining your electric shaver and it will stay in good condition until the cutting unit has run its natural course. Neglect it and you could find it packing up prematurely. Read on to find out how to do a thorough clean of your electric razor and when it might be time to buy some replacement blades. Check out all of our electric shaver reviews to see if you're cleaning a good electric shaver to start with and haven't lumbered yourself with a dud. A build-up of hair clippings, skin particles and oils can seriously impair the shaving ability of your electric razor. They can damage the shaving foils or heads, or limit their movement, and put additional strain on the motor in the process, likely causing it to falter faster than it otherwise would. But follow these simple cleaning steps and you'll be able to keep your electric razor in top form. Try to get into the habit of giving your electric shaver a regular quick clean. How often this needs to be done will depend on the growth rate of your facial hair. Some men will want to clean their shaver daily, while others will get away with waiting until they've had two or three shaves. Just don't wait too long. Electric shavers are easy to clean. Whether you have a foil shaver or a rotary shaver, it's simple to remove the casing that holds the rotary blades, or cutting cassette and foils, to gently tap out any clippings that are loitering inside. You can remove the cutter block and foils to clean the inner area of the shaver. Manufacturers recommend you don’t brush the actual foils or cutter block as those parts are very delicate and can be easily damaged. 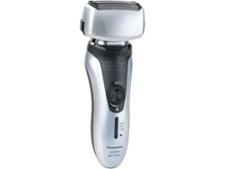 Even the smallest warp or dent can seriously impair the performance of your electric shaver. The heads on some shavers can be cleaned under running water. To do this, first hold the head under a running tap to wash away any shavings on top of the cutting unit. Next, press the release button on the shaving head holder, which will give you access to the blades. Once again, just let the water run over these for around 30 seconds, or until they're visibly free of debris. For best results for your particular model it's always advisable to follow the instructions in the user manual. If you've discarded the manual, you can nearly always find a copy on the manufacturer's website. Some high-end electric shavers, such as the Philips Series 9000 S9711/31 and Braun Series 9 9290cc, come with a cleaning dock that will thoroughly clean and lubricate your shaver. The dock houses a cartridge of cleaning fluid that works its way around the head of the shaver during the cleaning process. Philips says one of its SmartClean cartridges will last for three months with weekly usage. An indicator symbol will tell you when it's time to replace the cartridge. They cost around £7 per unit (sold in packs of two or four), and are available direct from the online Philips store or from other popular online shops. The in-depth clean you get from using a cleaning dock probably isn’t necessary every day. If you want to extend the life of your cleaning cartridges, we would suggest using the dock once a week, and following the steps above to do a quick daily clean by hand. If you don't have a model that comes with a cleaning dock, you'll have to take some time, at least once a month, to give your electric shaver a deep clean. Don't worry, as it isn't complicated and involves just a bit more work beyond your daily clean. Instead of just popping the casing lid and cleaning the blades, you'll want to fully remove, and disassemble, the blades and cutting cassette from the head of your electric shaver. You'll find a build-up of material where the blades are held, so give that a good brushing out. Give all the parts, including the body of the shaver, a wipe down or a wash, being particularly gentle with the foil if there is one, and then allow all parts to air dry before reassembling. *Prices correct as of March 2018. When should I replace my electric shaver blades? 1. It’s not cutting as close as it used to. If you’re having to pass your electric shaver over the same area multiple times and press it harder onto your skin to get the closeness of shave you’re used to, then it’s likely the blades have become dull. 2. The cutting mechanism feels hotter than usual during shaving. This is indicative of wear and tear on the blades and foils causing excess friction as they rub together. 3. Hairs being yanked out instead of cut. If you start to feel hairs being pulled and tugged while shaving, it’s likely you need to replace the cutting block. Once you start noticing these things happening, it’s time to consider replacing the cutting parts of your electric shaver. How long it takes for this to happen will depend on a range of factors, including how often you shave, how coarse your facial hair is, your shaving technique, how well you clean your shaver, and the initial quality of the cutting mechanism. 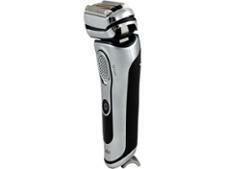 Manufacturers recommend changing the foils and blades of your electric shaver every 12 to 18 months. But you might find yours need replacing sooner than this. Get into the habit of looking over your blades and foil regularly so you can spot any noticeable wear before it causes bigger issues. It’s worth keeping in mind that replacement cutting parts aren’t particularly cheap, so have a think before rushing to buy some. Replacement blades will be worth the investment if you have a high-end shaver. 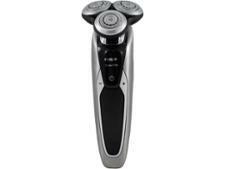 But if your electric shaver is a budget or mid-range model, you might be better off just buying a completely new one. If you do decide that’s the best way to go, make sure you read our guide on how to buy the best electric shaver first. Even with perfectly diligent cleaning and maintenance, there will come a point when it's better that you buy a new electric shaver. When that time comes, make sure you pick the right one to suit your budget and needs by checking out our round-up of the best electric shavers.